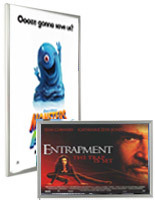 Snap Poster Frames : These backlit posters are design by you! Create your own graphics through SnapFrames.com! 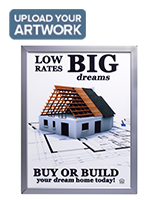 24" x 36" 27" x 41"
This backlit poster is designed to fit inside of our 22" x 28" light boxes. 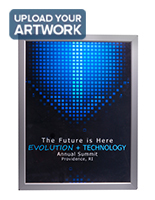 Made from translucent materials, this backlit poster allows light to pass through, illuminating your graphics from behind. 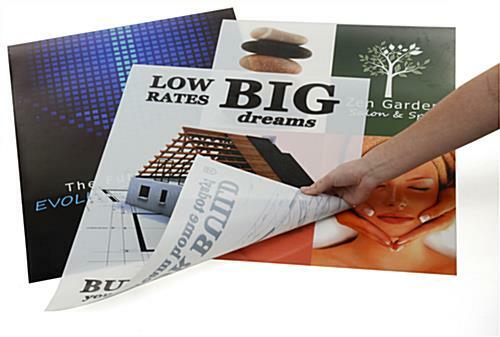 We print your custom artwork onto a 9-mil matte polyester film that diffuses light and heightens the coloring of your images. 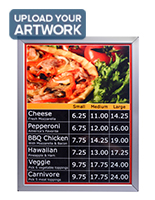 Your artwork appears sharper, brighter and easier to see in poorly lit conditions. 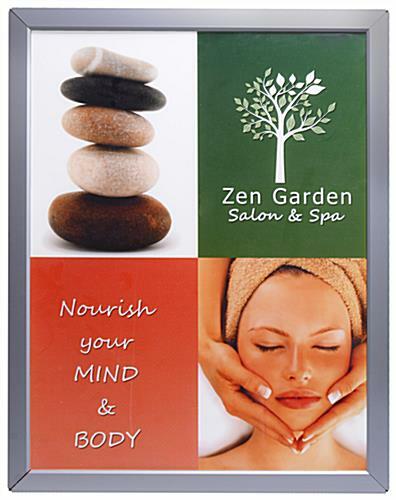 Made with an eco-solvent printer, these backlit posters are durable, yet environmentally friendly prints. The printer also produces a very stable print because the inks are allowed to penetrate the material. 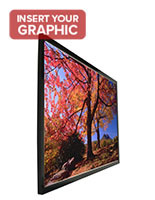 This backlit poster works great in backlit and edgelit light boxes. Design Note: When designing your artwork, please remember that many of our light boxes cover a portion of the print at the edges. Keep in mind this may cover a portion of your poster.